New York City, NY. August 13th 1969. 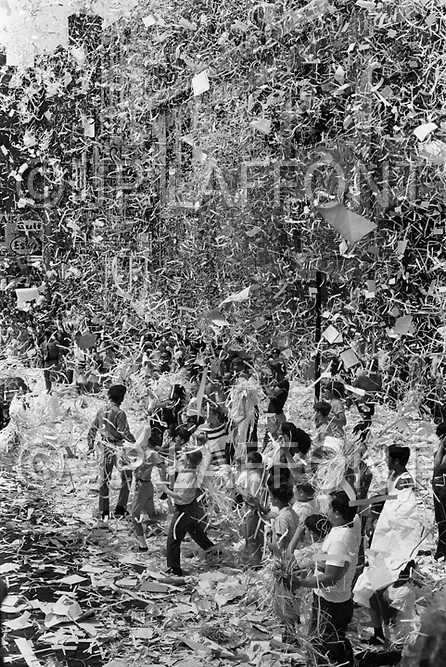 The crowd celebrates by showering ticker tape during the parade of The Apollo XI astronauts: Neil Armstrong, Buzz Aldrin & Michael Collins through New-York. The three astronauts teamed for the first manned lunar landing, on July 20, 1969.